Up until this point in this series, my stories about my policy of no rough housing have dealt with my girl classmates and actually physically hurting someone. 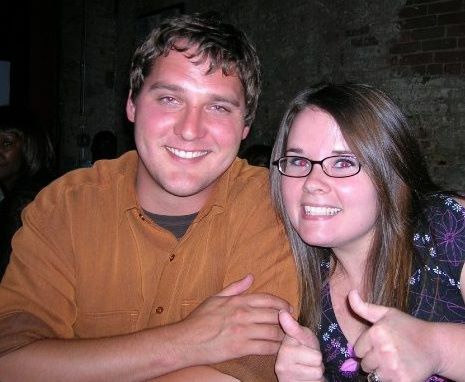 In my junior high and high school years, my really crazy stories start involving guys. I have many, MANY stories of awkward interactions with guys, but the three in this post serve to illustrate further why I don’t play around a whole lot. This story takes place when I was in the 8th grade, and yes, still at Texas Christian School. By this time in my life I had discovered that I really enjoyed having guy friends over interacting with a lot of girls, but I still had a couple of really close girl friends that also hung out with all the guys. I have a lot of really fun memories with my junior high guy friends, several of which involved Ryan Johnson and Ian Lebile. These two guys were so funny, and I truly enjoyed their company. In the 8th grade, Ryan managed to break his leg, so he was stuck with wearing a cast and walking with crutches for several weeks. Ryan is a big guy, and by this time in our schooling, he was already right at or just over 6 feet tall, so the crutches he had were ginormous. They were crutches for giants, and they could be adjusted to a higher setting for someone even taller than him. No one in my family except for my brothers has made it over 5’7″ or so, so to see someone using crutches that were almost 5′ tall at the lowest setting was amazing to me. I’m pretty sure everyone loves playing with crutches (I still pick my mom’s out of the garage every so often and swing on them.. and yes, I’m 25 years old..), but everyone was especially fond of grabbing Ryan’s crutches, adjusting the height to the highest setting, and swinging on them. We could cover so much ground using them, and the height you could reach at the peak of the arch was incredible. Looking back on how fascinated we were with those stupid crutches, I’m sure Ryan thought we were all idiots because there was nothing special about being that high up to him, but he was a good sport and let us all play with them during our lunch breaks and PE classes. At one point, it got to where so many of us wanted to swing on these crutches that we started two lines of people, and we switched back and forth (ie – Line 1 would swing over to Line 2, then Line 2 would swing back to Line 1 and the process would be repeated). It was actually pretty clever of us to figure that out because it cut down on any one person having too much fun and kept more of us from getting into fights…over the cructhes. On this particular day, I was in Line 2 and I was getting ready to swing over to Line 1 where my friend Ian was waiting for his turn on the crutches. I usually had to have help with completing my swing because, as we should all know by now, I am incredibly short, and when my five-foot frame is swinging on crutches that are taller than me, I did not have enough power to reach the top of the arch. A couple of my other friends let me get ready and then grabbed either arm and started to push me. My “other friends” were guys – athletic guys – who were not aware of their own strength, so when they pushed me over this time, they pushed too hard. It was really great during the rising motion, and still pretty fun as I was descending, but as I began to map my trajectory, I realized that where I was going to stop was exactly where Ian was standing, and I had to chance of stopping myself because my feet were still about 7 inches off the ground and my shoulders were raised a lot higher than normal because of the cructhes. As I called out my warning to Ian – who was not paying attention – I tried to angle myself a little differently and stuck my hands out in front of me in hopes that I would make contact with his shoulders or his chest to push him backwards so I wouldn’t full on ram him. After sticking my hands out though, I closed my eyes and apparently ducked my head, because when I felt my hands make contact with his body, my aim was too low. Like, WAY too low. Like, right-in-the-crotch way too low. As my brain processed what was happening, I had no information for how to deal with the situation. As I removed my unwelcomed hands from Ian’s groin region, I made eye contact with him, sheepishly said I was sorry, and ran inside to avoid any further embarrassment. None of us ever mentioned that story again (at least not in each other’s presence) and I left all the crutch swinging to the boys. I have two older brothers, Jeremy and Jason, and I love both of them dearly. I mean sometimes I actually hate them, but the general feelings I have toward them lean toward love and affection. Jason is usually always in my good graces though, because he’s my half brother and he lived with his mom while growing up. He would come spend summers with us every once in a while and would visit two or three times throughout the year, so getting to see him was always a treat. During my senior year of high school, I managed to convince my dad to let me start taking road trips to see my brothers (Jeremy in college in Longview and Jason in Sherman), and spent a lot of time scheming up new reasons to go visit them. One weekend during my first semester in college, I convinced my dad to let me drive to Sherman JUST to visit.. no special reason aside from I wanted to go see Jason. My dad consented and I basically floored it the whole way from Houston to Sherman because I was so excited. Me and my brother Jason – we love each other! Now, as much as I love my brother Jason, he tends to make a fatal mistake every time I visit him, and that is to take me to meet new friends all the time. I’m not by any means a shy person, but before I start interacting with people I like to observe their behavior so that I know the appropriate ways that I in turn can interact with them. It’s not a terribly long process for observations sake, but it can easily make it seem like I’m not having any fun. No matter how many times I explain this to Jason, he never seems to understand and asks me why I’m having a bad time. On this specific evening, he took me to Chili’s for dinner and introduced me to a friend of his who was working at the bar, and again, I spent a lot of time making observations and doing some trial jokes to see what kind of responses I got from them. I wasn’t going full force like Jason has seen me do with other people (because I actually know them), so he assumed I hated life, and on the way back to his truck after dinner, he grabbed a capped pen from his pocket and started poking me with it asking my why I looked so bored and why I hated hanging out with his friends. He was teasing me, so it was fine, and I decided that I was going to join in on the fun. We were close to his truck at this point, so I yanked the CAPPED pen out of his hand, told him, “I’m not having a bad time, you’re just overthinking it,” and jabbed him in the side. To which I responded, “I DIDN’T take the cap off, you wuss,” and held up the pen for proof. The now UNCAPPED pen. Somewhere between me grabbing the pen and me jabbing him with said pen, I had managed to pull the cap off and full-on shank my oldest brother with it. Our ride back to his house was mostly silent except for him saying how bad his side hurt and me mumbling apologies. This incident occured when I was a junior at Oral Roberts University and was on a media missions trip to South America. This trip is BY FAR the coolest thing I’ve done in my whole life, and I have many good memories from our 4 weeks of non-stop traveling and shooting. We had already been to Brazil, Trinidad, Guyana, Suriname, and the Dominican Republic, and now we were spending our last couple days in Belize. Our Regional Coordinators (RCs) had been meeting up with us during the last couple days in each country (to spend time with the other teams, not so much for us), and I had grown to really like one of them. It’s important to note that this guy was also incredibly attractive, and like 80% of the other missions guys we were with, had grown out his [BEAUTIFUL] beard on this trip. It’s possible that I had a bit of a crush on this guy, but not any dreams of dating him or anything; he was just beautiful to behold. He also reminded me a lot of my brothers, and I enjoyed joking around with him during breaks in the day. On our second to last day in Belize we were scheduled to take a 30-minute boat trip to Thatch Caye and sit around on the beach and go snorkeling on the reef. 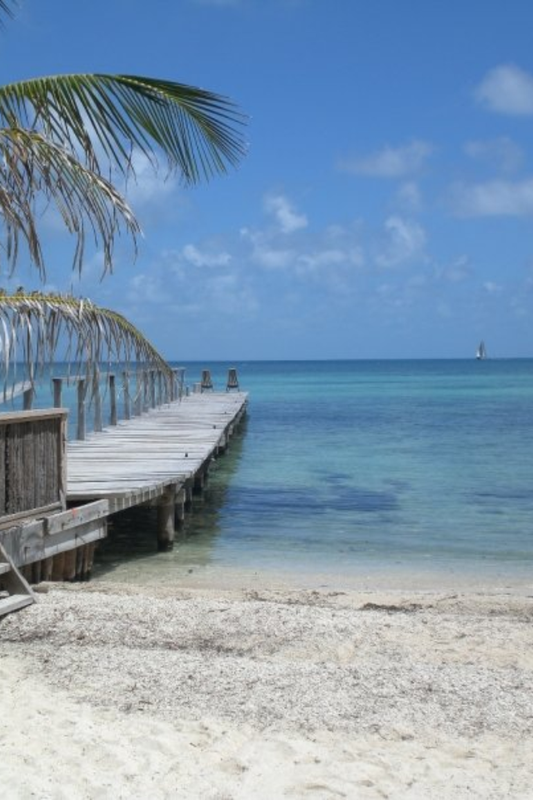 Welcome to Thatch Caye (photo by Aarika Kiley). It was a beautiful day, beautiful scenery, and we were all getting amped up for our snorkeling adventure. The first hour or so we were at the Caye our leaders were getting everything squared away, and we were left to explore the small island at will. Our entire group, probably 18 or so with all three groups together, got into the shallow water. At this location, the deepest water was about 3.5 – 4 feet deep, which for me was perfect. 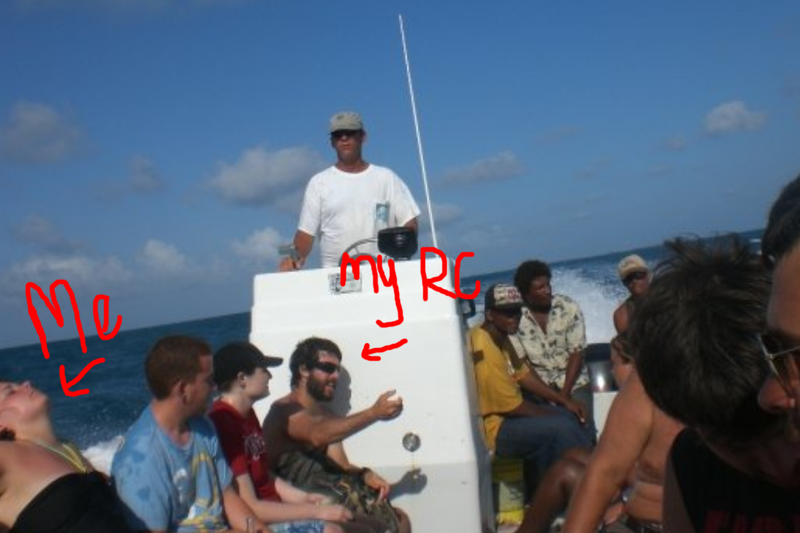 We took a group picture together, and then part of the group started playing around and I found myself alone in the company of the RC I just described to you guys (beard and all). We were joking around and out of pretty much nowhere he decided it was a great time to splash me in the face with a wall of water. I’m no stranger to this game, and decided I’d take part in shoving water at him while making our way back to the rest of the group. I think at this point it would be a good thing to describe my bathing suit to you guys. I was wearing normal bottoms or whatever, but the top was an interesting choice for me. It was a halter tankini, but it was more like a tube top with a sweetheart neckline with a ring in the middle that connected the fabric at the top and the straps for the halter. The halter portion of the halter top was connected in the middle of the shirt, rather than the straps being attached to the bra portion of it. It’s important to note that support is given where the straps attach, so in this bathing suit, all the support was given in the middle, which left what I can only describe as flaps of fabric on either side. And I can rightfully call them flaps because as my RC and I were joking around, I decided to lunge at him to try to dunk him before he could dunk me (this was a running joke with everyone on this trip.. it wasn’t just me trying to get closer to his beard), and as I launched my 5′ frame out of the water toward him, the weight of the water pulled down either flap on my bathing suit, creating a full-on flash situation. Because I had my eyes on the target while leaping, and because he was watching me to try to avoid being dunked, our eyes were locking during this entire ordeal, and we had to live each agonizing second of it knowing just how awkward each of us felt, and knowing that the other person was fully aware of everything that was happening. This 5-second wardrobe malfunction ended with him giving me a, “I’ll never unsee that, and I’m sorry if you’re embarrassed” look and me crouching into the water, fixing myself, and turning heel and walking the exact opposite direction from him without saying a word. This was after The Incident. Notice how I’m trying so hard to be a normal person and my RC is just being a normal person. 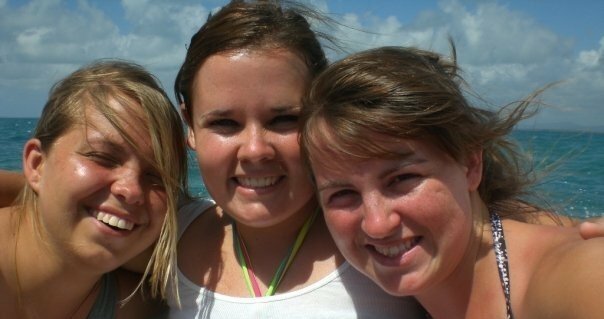 I spent the rest of the snorkeling trip hanging out with the girls and trying to blame my redness on sunburn. Hahaha the last picture and caption are hilarious! Loved all three stories! Hahaha!! Always happy to share a story that makes someone laugh!